Hey, bounce of your opponent's permanents is a fine strategy, but consider expanding on this strategy? 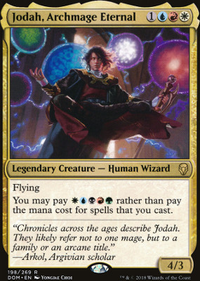 More bouncing or blinking of your own creatures with ETB abilities to then get more value from them. Frantic Search : instant draw that's also good with High Tide. Peregrine Drake : good with High Tide, bounce and blink. Turnabout : good with High Tide. Snap : good with High Tide, bounce your own creature or an opponents. Spellseeker : tutor for High Tide or any other 2 or less CMC instant or sorcery. Good with bounce/blink. Merchant Scroll : tutor for High Tide, Supplant Form, Capsize or any other instant. Mystic Remora : one of the best repeatable ways to draw in multiplayer Commander. Supplant Form : instant speed grandeur with Linessa. Capsize : bounce any permanent including a land and buyback is powerful. Crystal Shard : repeatable bounce of your creatures. Temporal Adept : repeatable bounce of yours or opponents permanent. Aphetto Alchemist : repeatable untap of Heidar, Temporal Adept, Crystal Shard, etc. 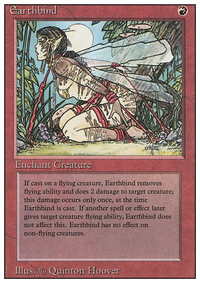 Freed from the Real : enchant a creature who has a ability to use that ability many times a turn. Good with Linessa, Alchemist, Heidar, Temporal, etc. Tidespout Tyrant : repeatable bounce of yours or opponents permanents. Combos with Sol Ring. Deadeye Navigator : repeatable blink, combos with Peregrine Drake. 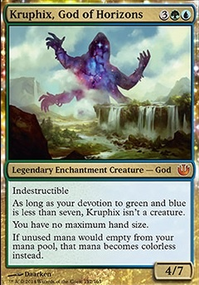 Good with any other creature who has an ETB ability such as Archaeomancer. Azure Mage : mana sink to draw. Stunt Double : instant speed Clone. Clones are good with bounce/blink. Displace : blink that combos with Peregrine Drake and Archaeomancer. Mind Stone : two drop mana rock that ETB untapped. I offer more advice if you want it, including explanations about cards I'm suggesting to add/cut. Good luck with your deck. A Laboratory Maniac win would be easy with Lazav's ability if you can manage a self-mill. 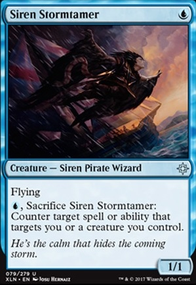 Just target any ol card drawing creature like Merfolk Looter or Azure Mage, then use the ability, then respond to the ability by using Lazav to copy the Maniac. Then you change to the maniac and immediately draw a card. How to infinite (almost) anything with three cards. I hope to show you three cards that together can infinite almost anything. Don't believe me? Read on! These three cards are legal in Commander, Casual and Legacy. Khalni Gem, Vizier of Tumbling Sands and Freed from the Real. 1) Tap Khalni Gem for two blue mana. 2) Tap Vizier of Tumbling Sands to untap Khalni Gem. 3) Use one blue mana on Freed from the Real to untap Vizier of Tumbling Sands. 4) Tap Khalni Gem for two of any colour mana. 5) Tap Vizier of Tumbling Sands to untap Khalni Gem. 6) Use the other blue mana on Freed from the Real to untap Vizier of Tumbling Sands. You end up with two mana of any colour and are back in the original state of the board. Just rinse and repeat, watch the mana flood in. Combo 2 - Infinite untap For this combo you will need another permanent that has a tap ability. For this example I will use Civilized Scholar Flip. 1) TapCivilized Scholar Flip to activate their ability. 2) Tap Vizier of Tumbling Sands to untap Civilized Scholar Flip. 3) Tap Khalni Gem for two blue mana. 4) Use one blue mana on Freed from the Real to untap Vizier of Tumbling Sands. 5) Tap Vizier of Tumbling Sands to untap Khalni Gem. 6) Use the other blue mana on Freed from the Real to untap Vizier of Tumbling Sands. You are now back where you started and can repeat the cycle activating Civilized Scholar Flip's ability over and over again. Say you have an Elvish Piper on the field. You can use Combo 1 to generate some green mana, tap Elvish Piper to get a creature from your hand onto the battlefield, then use Combo 2 to untap Elvish Piper. Rinse and repeat. Throw in a card that allows you to draw cards like Azure Mage and you can get ALL creatures from your library onto the battlefield! Say you have a Willbreaker on the field. You can use Combo 2 to untap all of your oponents creatures. Even if they are not tapped, they are still being targeted by Vizier of Tumbling Sands's ability. Therefore, due to Willbreaker's ability, you gain control of them. So you can gain control of all your opponents' creatures. Another reason I really like this combo is that even without the full engine up and running, you can make some pretty disgusting plays. 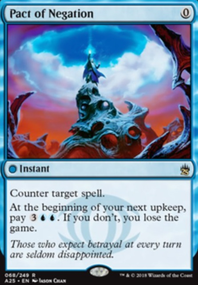 For example, say you have Vizier of Tumbling Sands out and enchanted with Freed from the Real, you can effectively pay one blue mana to untap any permanent that you want! 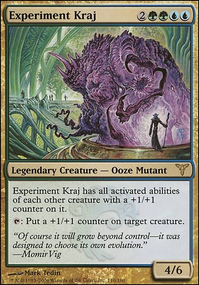 Also, Khalni Gem is just a brilliant card, if you get it out early, you gain so much advantage. Or better yet, Gilded Lotus. Having both in a deck would make this combo much more consistant. I hope you find this combo interesting. I don't know how people haven't found this already but it is proving to be one of the most powerful things I have ever put into a deck. (I built a Willbreaker deck with this combo). Have fun and let me know what you do with this. Cryptic Command, Remand general good cards.